Talking about his favorite classical fragrance, Jean-Paul Guerlain, the perfumer for the house until his retirement in 2002, mentions “Lanvin Arpège under its original formula, Fahrenheit and Eau Sauvage by Christian Dior, Chanel No. 5, Nina Ricci L’Air du Temps and Pleasures by Estée Lauder.” “A classic perfume is determined by the quality of the raw materials you put in it and by its elegance, distinction and originality,” Guerlain says. “Above all it has to be memorable.” An excerpt from a Reuters article (03/27/01). My favorite Guerlain fragrance has always been Après l’Ondée, a beautiful melancholy composition of iris and bitter almond note of heliotropin, ornamented by a dusky Guerlainade accord of tonka bean and vanilla. I would love to hear what is your favorite Guerlain fragrance. Photo from Grasse Perfume Museum. MC: Probably Vol de Nuit. Unlike Serge Lutens’ oriental scents (which I love) and Ormonde Jayne’s Tolu (which is like Vol de Nuit’s saucy younger sister) it gives its eastern exoticism a very Parisian diffidence. It’s like looking at the Maghreb from above, like Saint-Ex in his little biplane, rather than from ground level in the Medina. It has the best flacon of any scent in my opinion. L’Heure Bleu is another sweetly poetic Guerlain: I remember Julie Burchill dedicating a page in the Modern Review to a love song to this scent. parislondres: I love/admire too many from Guerlain as you know – tinkered with or not – Jicky (my first grown up fragrance), Apres L’Ondee extrait, Mitsy extrait, Vol de Nuit extrait, Shalimar extrait (now can only bear the alcohol free deo), L’Heure Bleu extrait, Chant d’Aromes, Jardins des Bagatelles (quite unlike the others yet pretty), Vetiver, Quand Vient d’Ete, Plus Que Jamais, Angelique Noire, Violette Madame, (wish I could buy this and it lasted on me – it is 15 mins kind on me). My relatively recent love for Nahema extrait (after dissing it for years) and Chamade extrait makes me think that my appreciation for this house for about two decades will possibly last another few. At least one must hope. I am not a fan from AA line btw. One thing I must point out is that much as I love them, I do not seem to reach for as many Guerlains as I used to in the past but I do like to have them around. karin: I’d like to know why when I do love so many Guerlains, that I cannot wear Apres L’Ondee well. Is it because it must be in the parfum? I don’t wear the parfums in all the fragrances by any means. 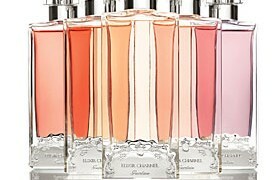 My favorites: Chamade, Chant d’aromes, Mitsouko, Vol de Nuit. mreenymo: Hmmm, my favorite Guerlain? Well, darling V, even though I seem to have a love-hate relationship with Guerlain/LVHM as of late, I do have precious memories. LOL! Apres L’Ondee is my first love. Violets and irises-you can’t beat that combination when it’s done so sublimely. I also love Parure and Mitsouko, VdN, too. BoisdeJasmin: Mike, your description of Vol de Nuit is just perfect. I agree about Guerlain oriental fragrances having a very distinct French aesthetic. Vol de Nuit flacon is absolutely stunning. I also love the flacon for Chamade and the vintage Jicky apothecary bottle. BoisdeJasmin: N, you are my Guerlain inspiration! I really understand what you mean about not reaching for Guerlains too often. To me, these fragrances are like couture gowns. On the other hand, I do not reach for anything repeatedly, given the fact that everything is on a slow rotation process. BoisdeJasmin: R, being part of a large corporation is not easy. However, the newest Guerlain fragrances are very beautifully done, with the high quality ingredients. I do not even want to think about the reformulation of their classics. It breaks my heart. BoisdeJasmin: T, if you wore Shalimar, I would imagine that Jicky might be a perfect fragrance. It has some of the same elements, but made crisper and fresher. Lavender is a welcome addition. I cannot forget about AA Pamplelune. Another AA I like is Ylang et Vanille (the element I notice in new Plus Que Jamais). Ayala: Vol de Nuit is one of my most favourite Guerlains, as well as Mitsouko and Shalimar. I will never be without any of those three. But Vol de Nuit holds for me also sentimental family history. It is adventurous, sophisticated and enigmatic, and is essentially the best of both worlds – Oriental and Chypre. In my mind, Vol de Nuit is associated with the heroic women of the WWII era, namely my dearest grandmother (Vol de Nuit was the romantic gift my beloved grandfather has given her after taking her to the Guerlain boutique in Champs Elysee where she received a personal fragrance consultation and it remained her signature perfume till this very present day). I also associate it (I admit it – a lot of elements in the movie reminded me of “The Little Prince” by the same author of “Vol de Nuit”) – the airplane crashing in the desert) the desert-dwelling British heroine from “The English Patient”. Vol de Nuit is refined and elegant and also subtley sensual. BoisdeJasmin: Ayala, thank you for sharing this wonderful story! The fragrances that have a personal connection (Diorissimo which was worn by my mother or Climat, my grandmother’s fragrance) have a special place in my heart. Vol de Nuit has always seemed brave and confident to me, while retaining an aura of mystery. The name being derived from the title of Saint-Exupery’s story only adds to its allure for me. Tania: V, when I say lavender in a bathroom, I mean it actually smells like the bathroom! Maybe that’s civet? Whatever it is, it smells, you know, bathroomy. I didn’t notice it as much in Shalimar, but maybe the vanilla tempered it. BoisdeJasmin: Yes, you ruined me with the vintage Arpège. The modernized version is just too easy to comprehend. I am hunting for a vintage bottle, needless to say. Yes I think Guerlain has changed the formula for Vetiver, at least once. It has certainly changed in the past decade: I had a bottle of the previous formulation in the mid-90s and it was deeper, more traditionally masculine than the current version. I would say it had more tobacco with perhaps less emphasis on the top notes. The current version has a very effervescent lemon-grapefruit top note and the heavy bass of tobacco and cedar has been turned down a little. It’s still good but it isn’t the same scent. Even people who aren’t particularly scent fanatics but who have been wearing Guerlain’s Vetiver for years (like my father-in-law) have noticed this. I believe Guerlain denies any change in the formula. Conspiracy theory ahoy: Apparently Mouchoir de Monsieur was saved from the discontinued pile because it continued to be produced exclusively for the dandyish actor Jean-Claude Brialy. It later became commercially available but only through selected Guerlain boutiques – no samples, no tester bottles, just 250ml flacons selling for around 1500 Francs. Maybe Guerlain continues to produce tiny, exclusive quantities of its classics in their original formula for demanding lifetime customers? Forever and ever,as a everlasting love, my favorite Guerlain is the sister of your favorite one:l’HEURE BLEUE. It is the perfect representation of an impressionist paint. When i smell it,it make me feel as if time and space were standing still. Try the extrait de parfum…it is simply a marvel,once smelled,nothing can be the same. BoisdeJasmin: Mike, thank you! I thought that there were differences between the original and the current versions of Vetiver. 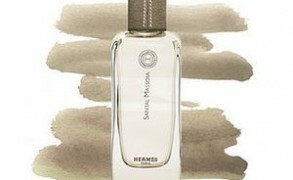 It is still a great fragrance, and I like its crisp feel, paired with an austere elegance. julien: I should add that i love Après l’Ondée too. I am so excited because i have won a 30ml extrait de parfum in ebay for less than the middle of the price needed in a Guerlain store. Kisses dear,i hope everything ‘s fine in your life. BoisdeJasmin: Dear Julien, congratulations! What a great find indeed. I cannot agree more with your philosophy. Sounds very sensible and very true. Hope that your new work is going well. Best of luck with everything! I like Mouchoir de Monsieur a lot – it’s a lighter Jicky in many respects, with more tobacco and vanilla. Very sparkling top notes too – something about those top notes reminds me of Musc Ravageur (maybe the cinnamon? ).